Pass Christian has a number of subdivisions that were mostly started in the 1920s and afterwards, with a few having started even earlier. Because Pass Christian has historically sustained itself as a residential resort, some of these subdivisions vied with each other in striving to be better than the next. None, however, have the quality and uniqueness of Timber Ridge which didn't get started until the late1960s-1970s, --- primarily coming into its own after Hurricane Camille. With slow growth, the planned community has developed to be the signal most pleasant area in the city limits of Pass Christian. Its exclusivity as a Country Club environ is benefitted by 1300 residential lots that envelop the beautiful greens of the Pass Christian Isles Golf Club was started in the 1950s and became the private club that it is today. 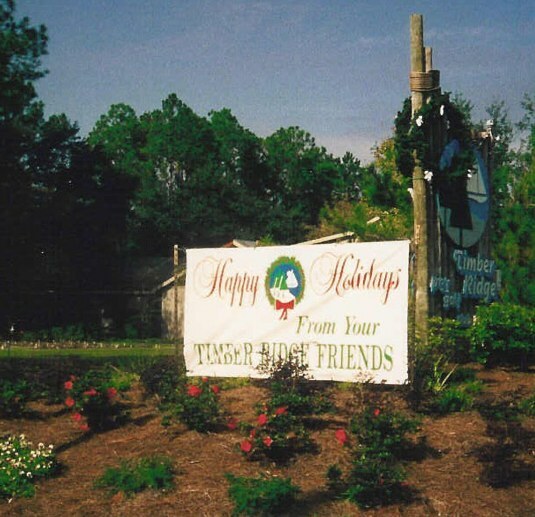 Timber Ridge is of further consequence to its residents as having numerous canals and natural bayous that flow throughout, with direct access to the Bay of St. Louis, a number of tributary rivers, and the Gulf of Mexico. It is further distinguished by an all-volunteer Board of Directors who act for the residents and lot owners through the Property Owners Association. These volunteers, through the years, have manifested a tradition of keeping the standards for communal living high while regarding the privacy and security for all its members. Almost a gated community, the assets are protected --- the swimming pool, the tennis courts, the picnic grounds, and Treasure Point where the intended Marina exists in a quiet cove with boat launches and additional picnic grounds and pier-fishing.